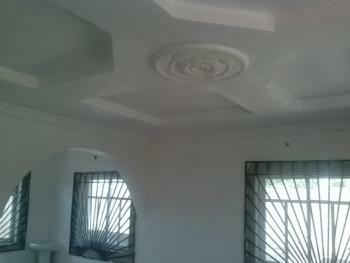 This house is located in a developed area of Agunbelewo, not far from the main road, in Osogbo. It is fully tiled with fence, gate and water running. It is a single flat in a compound. There is 3 toilets and bathrooms with water heater and wardrobes in all rooms. It is a new house with all the necessary facilities. Rent: N250,000 per annum. Pls call me on 07062650263 for more details.